Symphony’s award-winning* Navigate Platform enables care delivery organizations to manage financial risk, improve quality outcomes and enhance patient engagement. 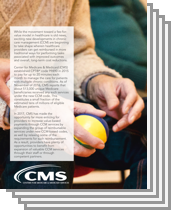 Now more than ever, care management teams need a central place to manage their patients across the enterprise from wellness, preventive care, utilization and complex case management to population health, discharge and medication management. The Navigate Platform delivers such functionality and seamlessly integrates into EMRs and decision support systems at the point of care. 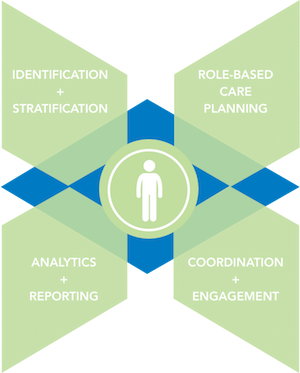 The platform provides actionable steps at the encounter, and interventions between visits including discharge and post-acute care management. Role-based tasks assigned and performed by care teams. Centralized care coordination, and task management. Specialty care physicians access CCD, share evidence-based care. Payers have transparent P4P or reimbursement system, access to evidence-based guidelines, and CCD. Hospital has complete access to CCD records and utilization guidelines. Care teams follow up on post-discharge tasks to keep readmissions low. Pharmacists reconcile meds and follow up on drug compliance. Care teams foster lifestyle and behavior modification with onsite visits, telephone, telemedicine, or e-mail-based engagements. It’s Time to Go Beyond. 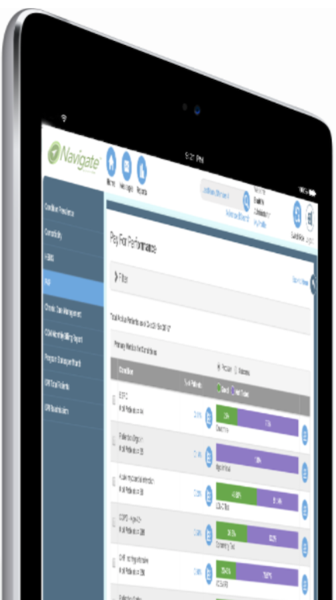 The Navigate Platform works in conjunction with other solutions to (1) securely engage patients in their care plan goals, tasks and reminders; (2) conduct virtual check-ins, screenings and surveys; (3) automatically deliver educational materials and reminders; and (4) facilitate secure correspondence directly between patients and their clinical support team. These automated communication tools help providers cost-e ectively manage low, medium, high and rising-risk populations with fewer nurse navigators and care managers.